A new display is available in the Abbotsford campus library, highlighting titles from the library's special collections. 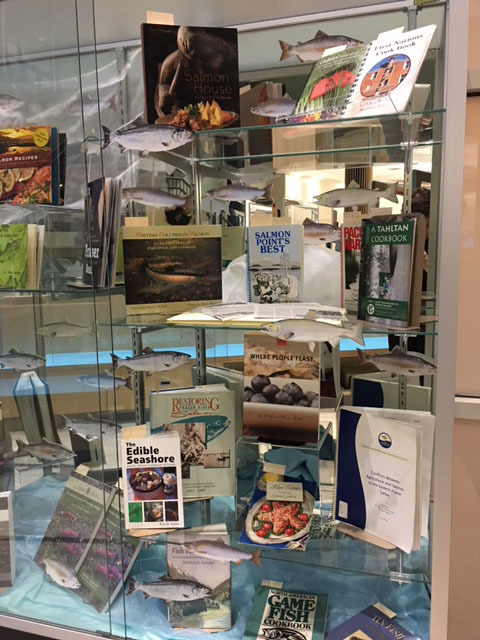 The display illustrates the complexities of the management and conservation of salmon stocks as well as the tensions between indigenous and settler groups harvesting resources from both sea and land. Take a look at the variety of cookbooks from the Newman Western Canadian Cookbook Collection on the preparation and cooking of salmon from the indigenous and settler communities around British Columbia. 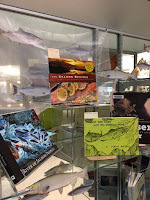 NFB Campus - Salmon People, a film about some of the Westcoast First Nations and their relationship to salmon. The Abbotsford campus library, as well as G building, will be closed on Sunday, November 19th. Students and faculty will still have full access to the library's electronic resources and collections through our website. Students requiring research help can log on to the Askaway service and connect with a librarian for assistance. 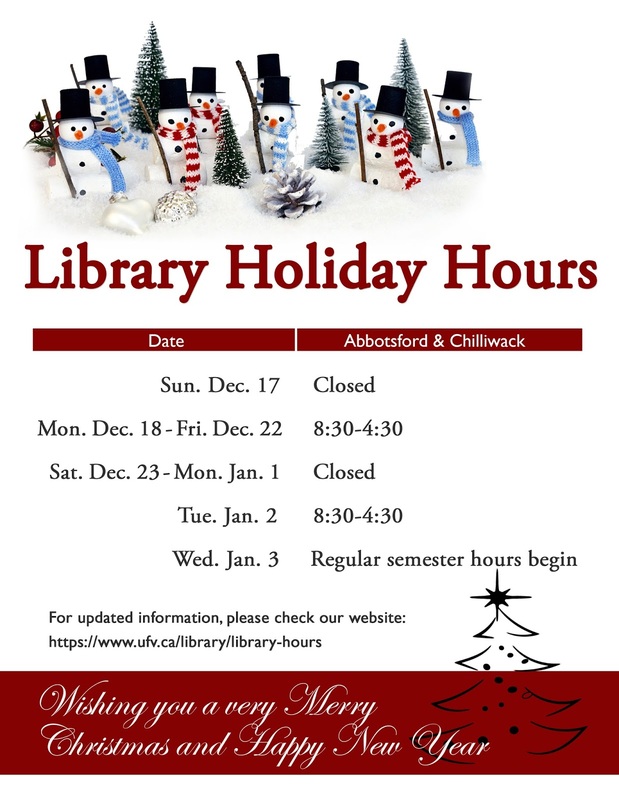 As well, students looking for study space can go to Fraser Valley Regional Library's Clearbrook branch which will be open from 10am-5pm on Sunday, or the Abbotsford Community Library which will be open from 1-5pm. As many will know, Constable John Davidson's celebration of life will be taking place on Sunday, November 19th at the Abbotsford Centre on King Road, and UFV is offering the Envision Athletic Centre as a site for overflow seating as well as reserving all campus parking for first-responders who are marching in the procession. We do apologize to our students for the closure of the library on Sunday, and any questions or concerns can be directed to Kim Isaac, University Librarian. Details regarding Const. Davidson's celebration of life are available here. 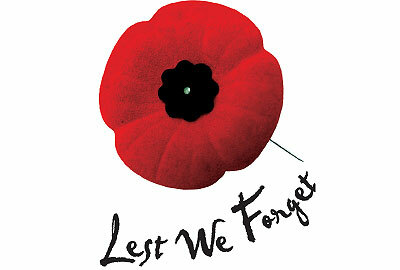 UFV's Chilliwack and Abbotsford libraries will be closed on Friday, November 10 to mark Remembrance Day. Please note that the library's catalogue (including ebooks) and databases remain available. 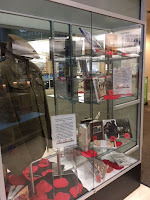 UFV library has created a display of World War 1 memoirs in honour of Remembrance Day. 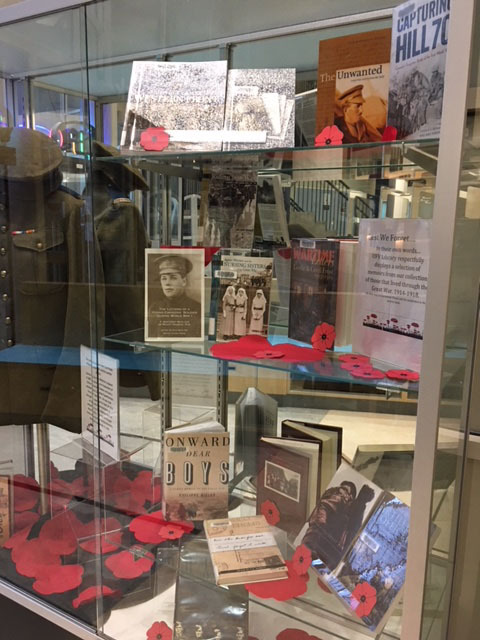 Perspectives from B.C.,as well as Ontario, narratives from nurses to the men who fought in the trenches all bring the devastation and loss of the Great War to life. 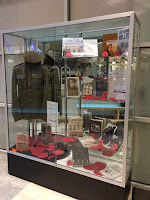 On display as well is the recent acquisition of a World War 1 military jacket belonging to Private Henry Gerrish who was injured during the first battle of Ypres in 1915. Born in England, and enlisted at Valcartier, Que., Gerrish lost his arm as a result of being wounded. Discharged home, he lived out his life in Kamloops, B.C., where he died in 1965. Curio, UFV library's streaming video and audio content from CBC and Radio Canada, has created a resource page highlighting titles relating to Canadian involvement in peace and conflict zones. Click here to access that page. Library and Archives Canada has digitized the records of those enlisted in World War 1, and they are searchable. As well they have added information about WW1 and the various theatres of war to their website. The Royal Canadian Legion has some useful information about the tradition of Remembrance Day as well as links to local Remembrance Day ceremonies. This display will be available until Friday, November 17th. 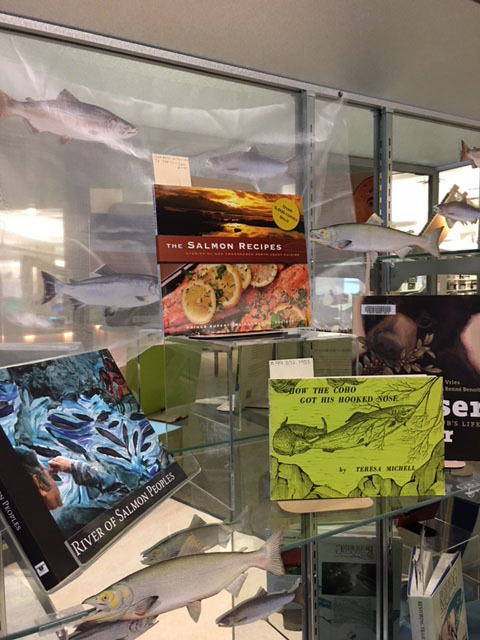 All books on display can be borrowed. If you have any questions or comments, please forward them to Mary-Anne MacDougall. As of November 6, 2017 all myUFV passwords must be reset. See this FAQ for full details. UPDATE: This problem has now been resolved. We have discovered problems with some URL links to ebooks, streaming videos, etc. 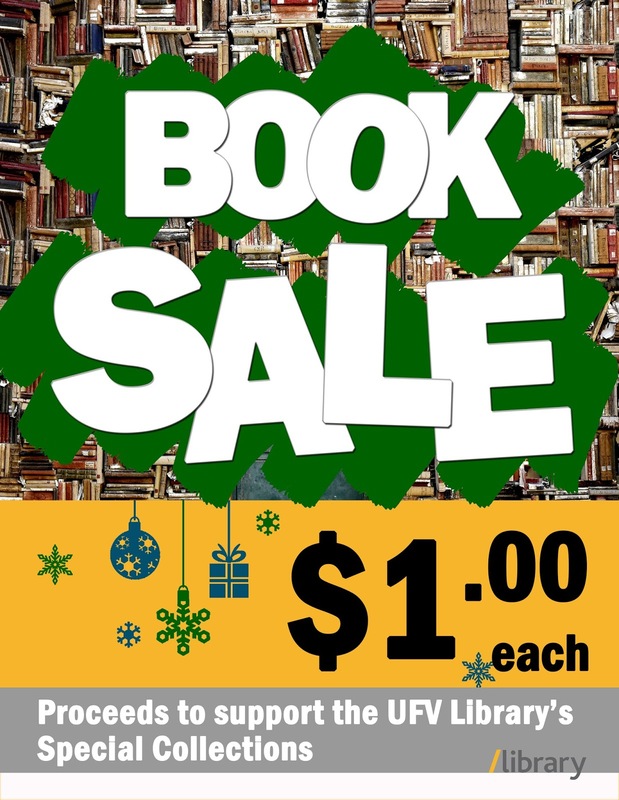 in our UFV Library Catalogue. The links on the Item Information screen are not always connecting to the correct target. The links from the brief hit list and the URL links under the Catalog Record tab seem to be connecting without any problems, so use these instead. We will be working to resolve this as soon as possible. Please call the library if you are having any difficulties.